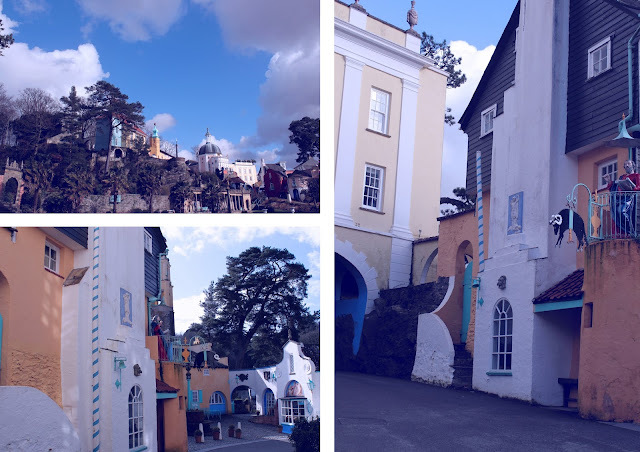 Last week, me and my dad took advantage of the lovely sunshine (before it absolutely poured down with rain and sleet) and took an afternoon trip to Portmeirion. Portmeirion is described as an Italian tourist village, roughly based upon Portofino. Portmeirion was also used in the tv series 'The Prisoner' (ask your parents - or youtube it!) If you happen to be a fan, you should definitely pay a visit! The village itself is exactly the same as it appears in the show. We were lucky enough to know about a voucher which allowed entrance for £1 each per adult instead of the usual £9 entrance fee (which we both thought was a bit expensive...!) This voucher is valid until the 31st of March and can be downloaded here. I believe this offer is ongoing every winter, so if you'd rather wait and save yourself some money, it's a very good offer! If you're a family and have children, they can also go in for free with this voucher! You could easily spend an afternoon here, although we only spent a couple of hours, it was definitely a flying visit! We took a walk around the village, sipped extremely hot latte's (the little robin wanted in too) and enjoyed the very little sunshine we had all week! 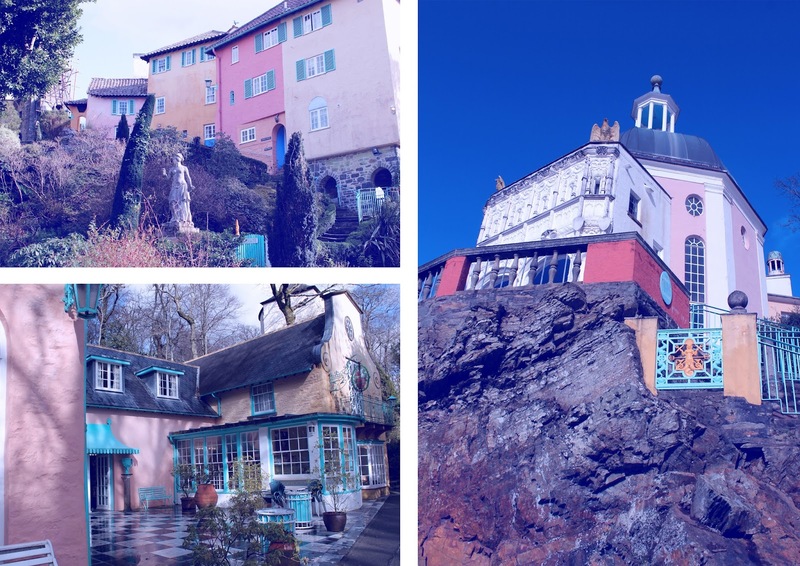 Have you ever been to Portmeirion? What do you think? I love "The Prisoner" it's so bizarre!!! That big beach ball thing??!! Hope you are well! Have a lovely weekend!